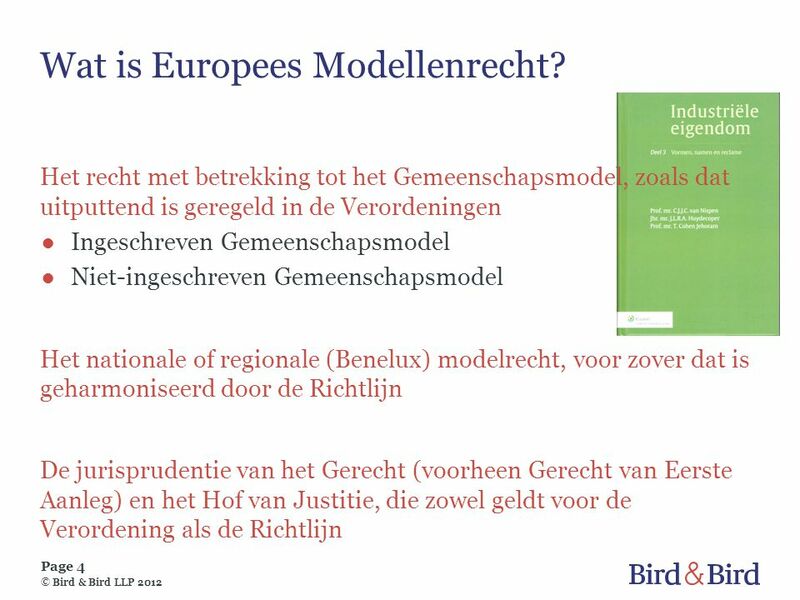 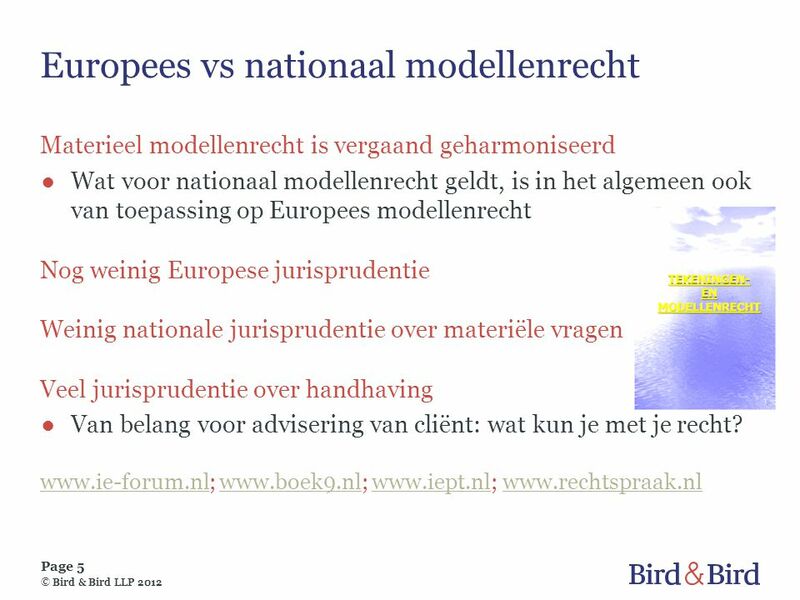 4 Wat is Europees Modellenrecht? 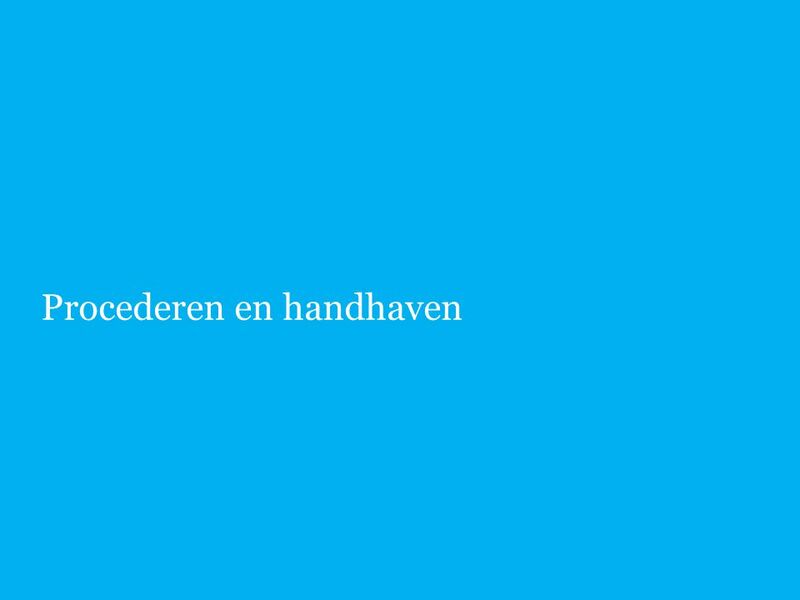 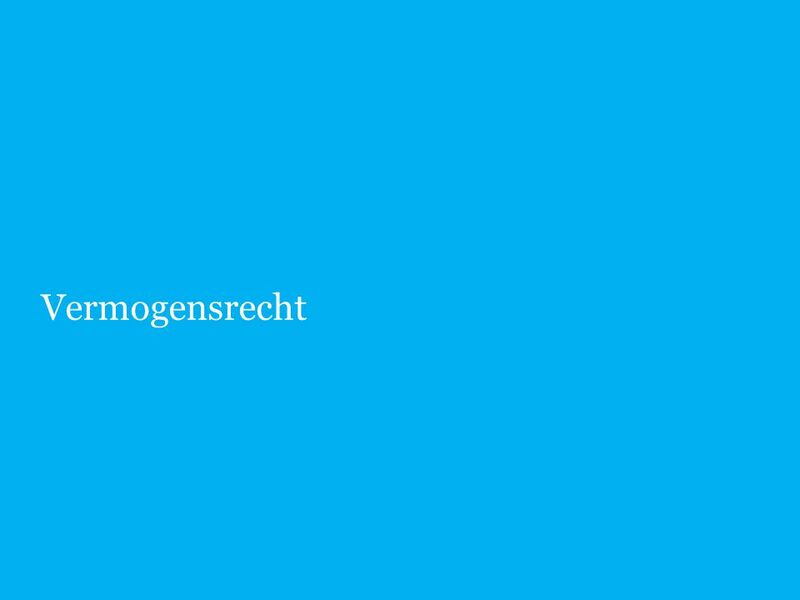 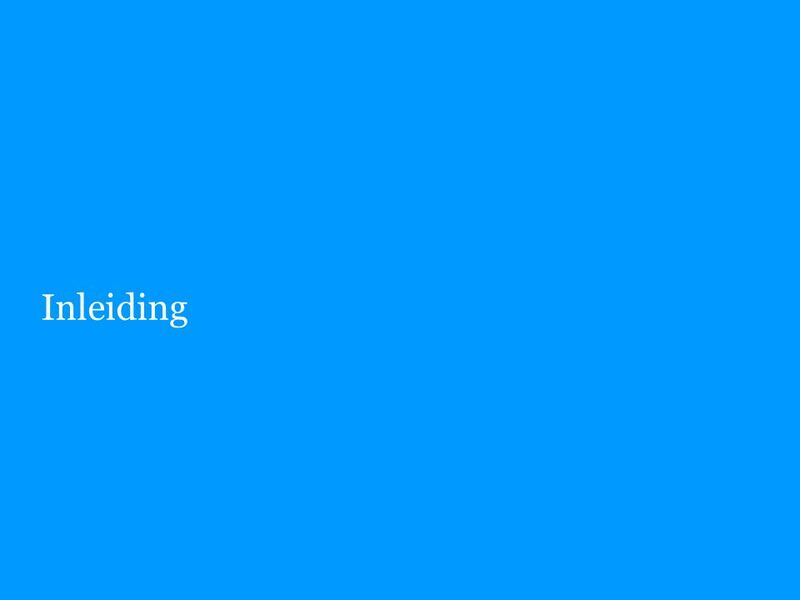 9 Ingeschreven, maar geen bescherming! 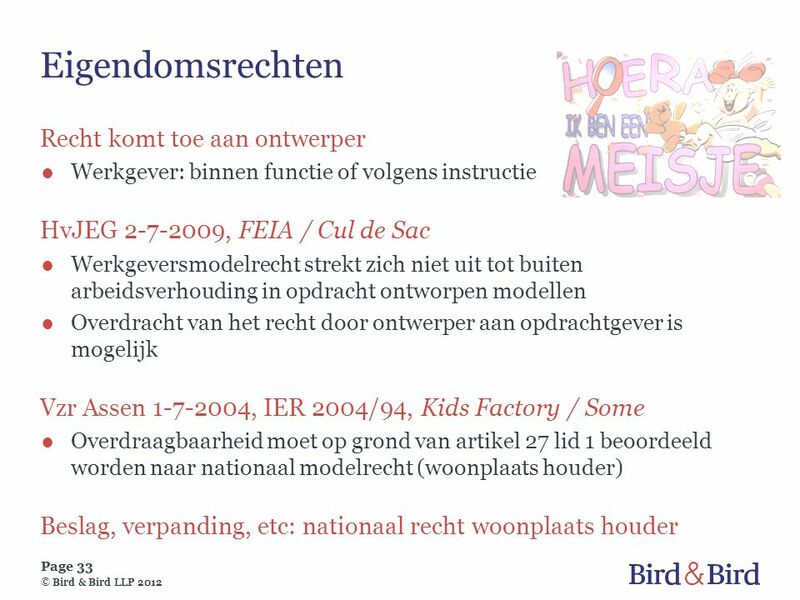 10 Ingeschreven, maar geen bescherming! 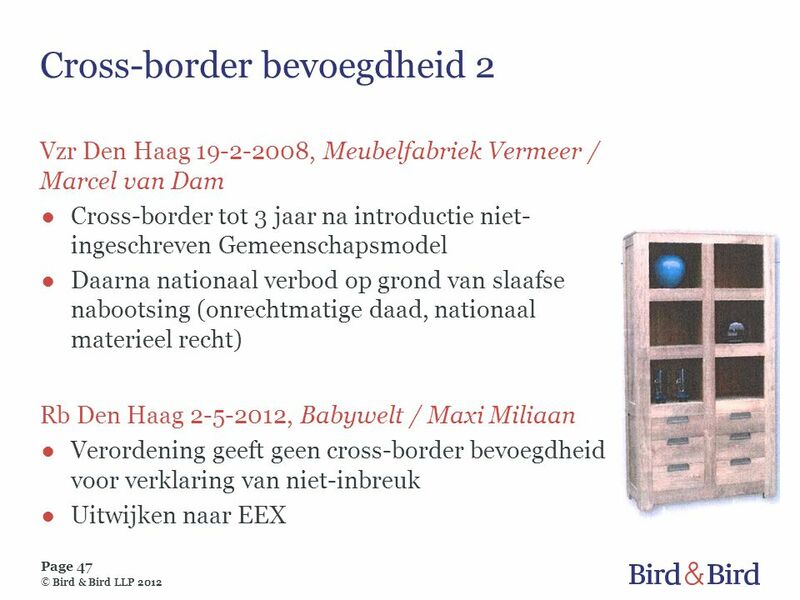 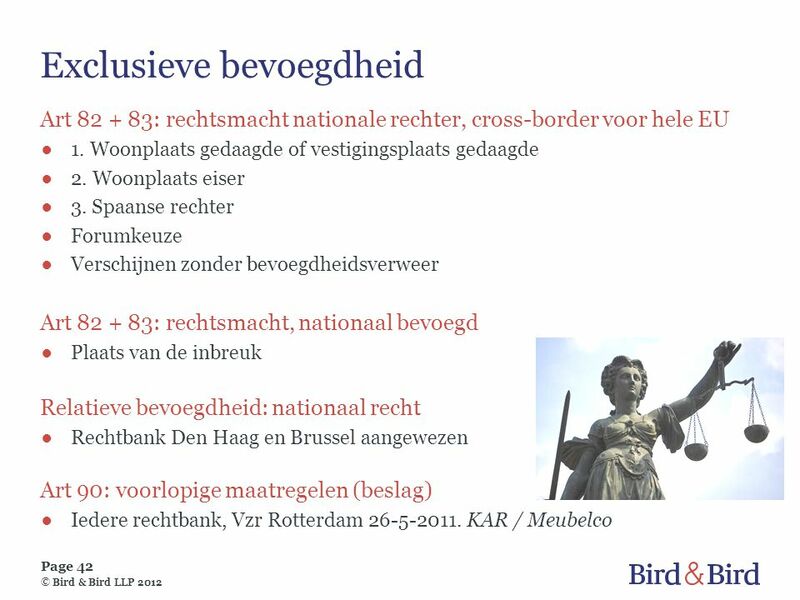 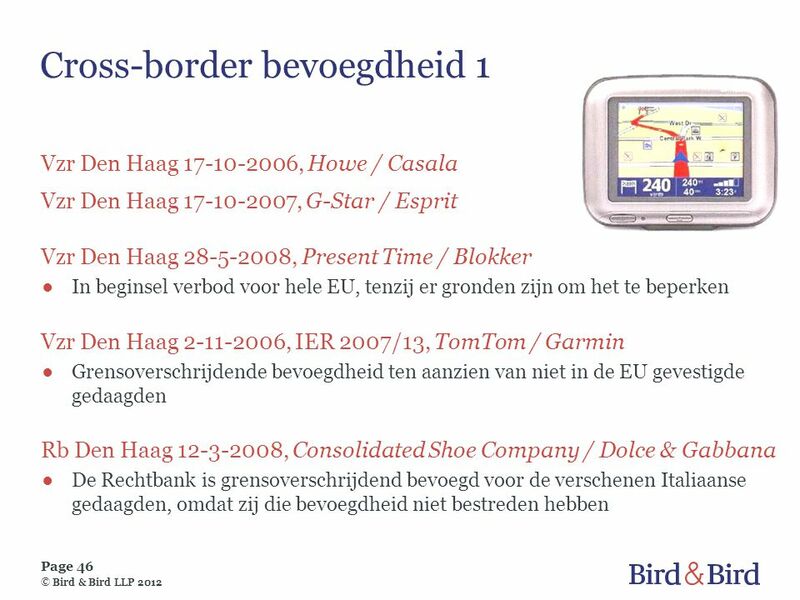 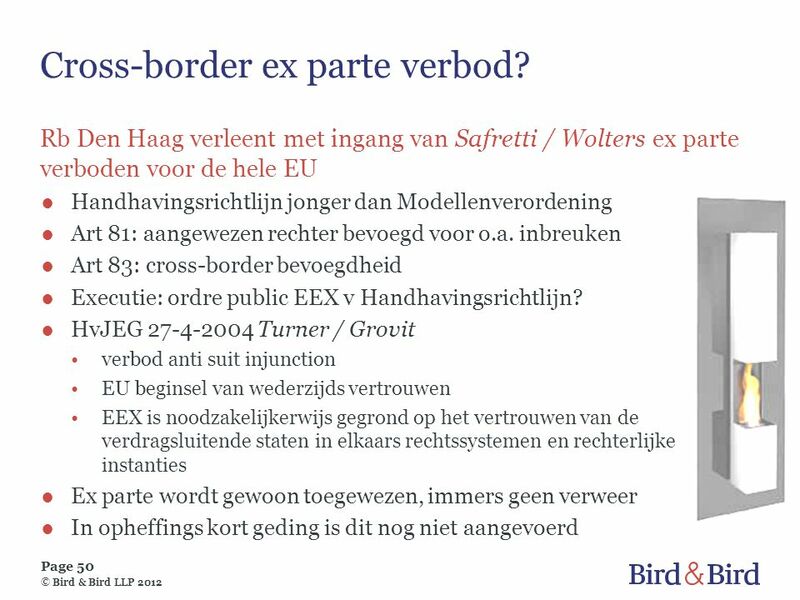 50 Cross-border ex parte verbod? 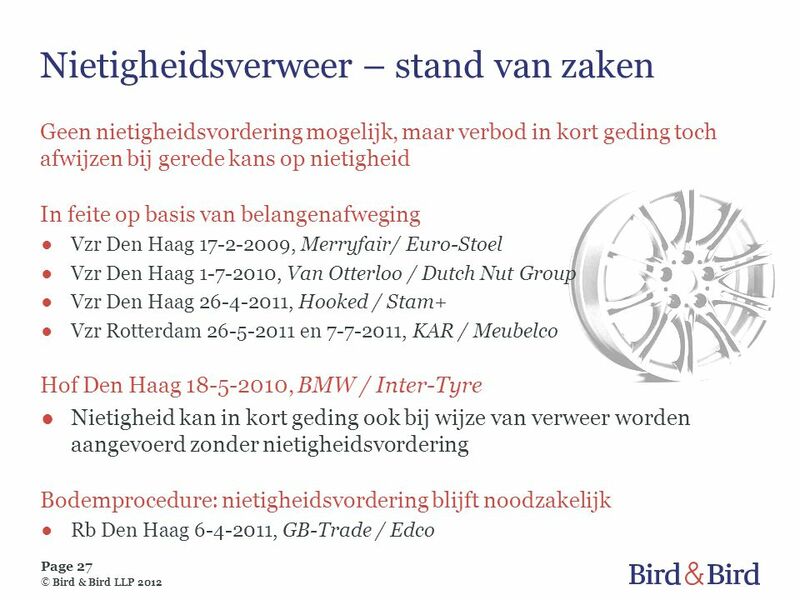 56 Bird & Bird is an international legal practice comprising Bird & Bird LLP and its affiliated and associated businesses. 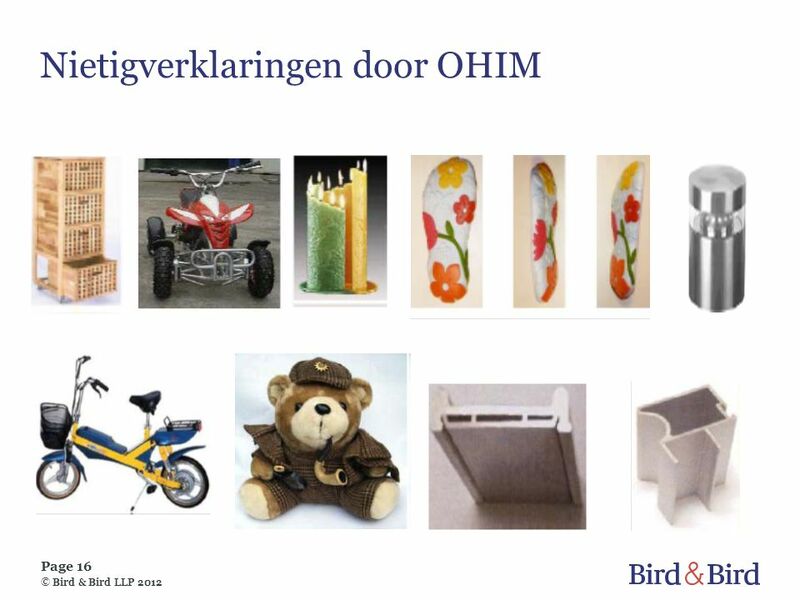 Bird & Bird LLP is a limited liability partnership, registered in England and Wales with registered number OC and is regulated by the Solicitors Regulation Authority. 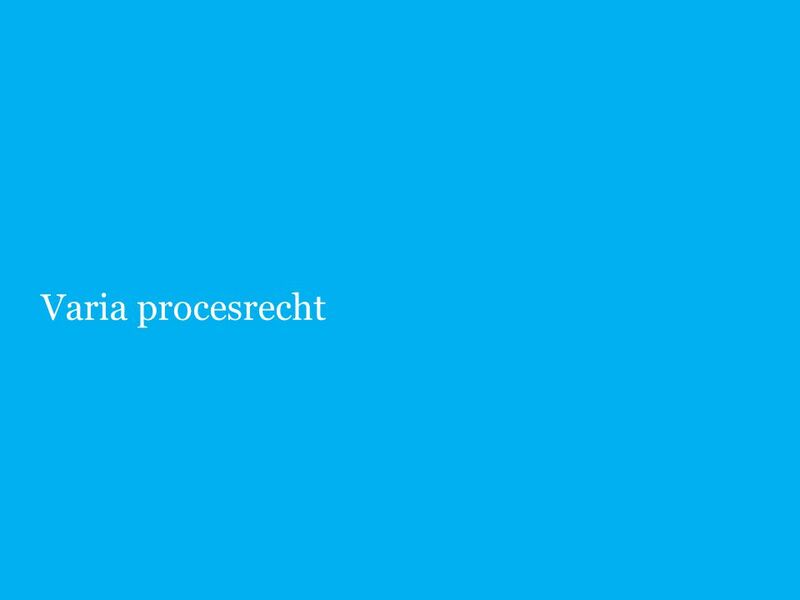 Its registered office and principal place of business is at 15 Fetter Lane, London EC4A 1JP. 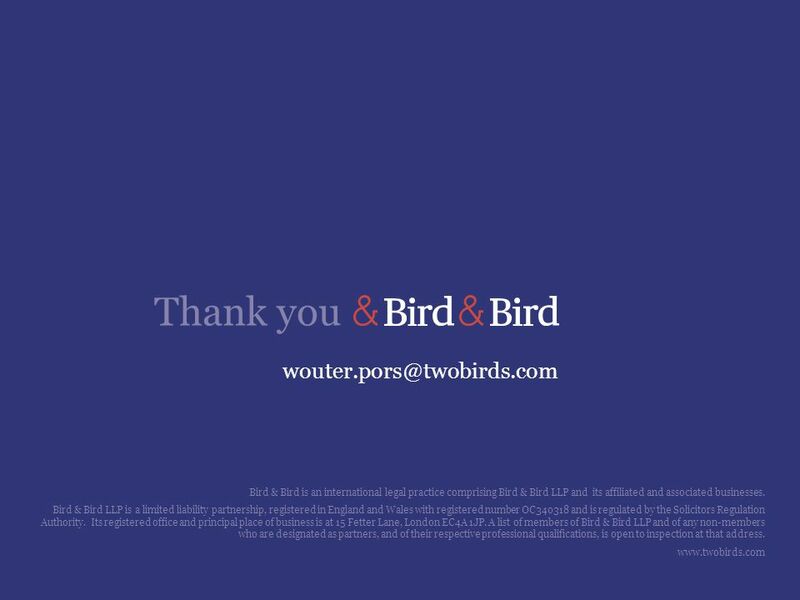 A list of members of Bird & Bird LLP and of any non-members who are designated as partners, and of their respective professional qualifications, is open to inspection at that address. 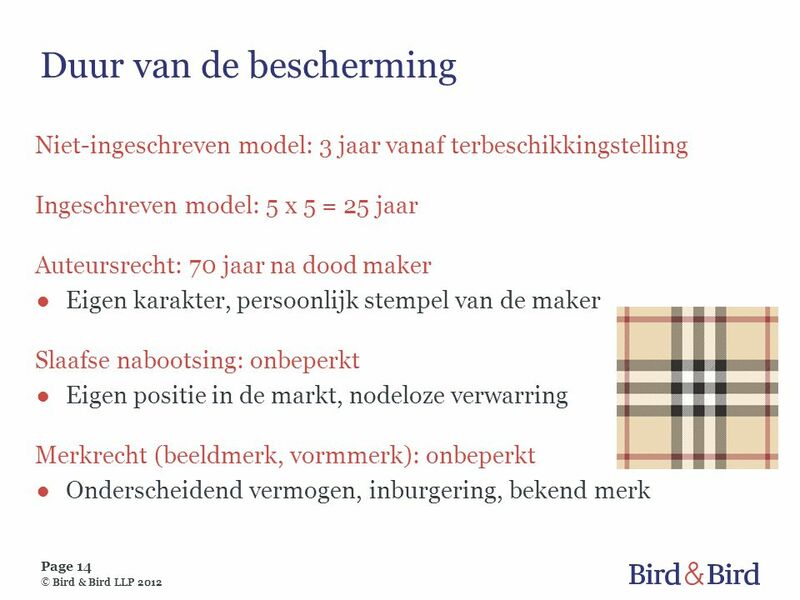 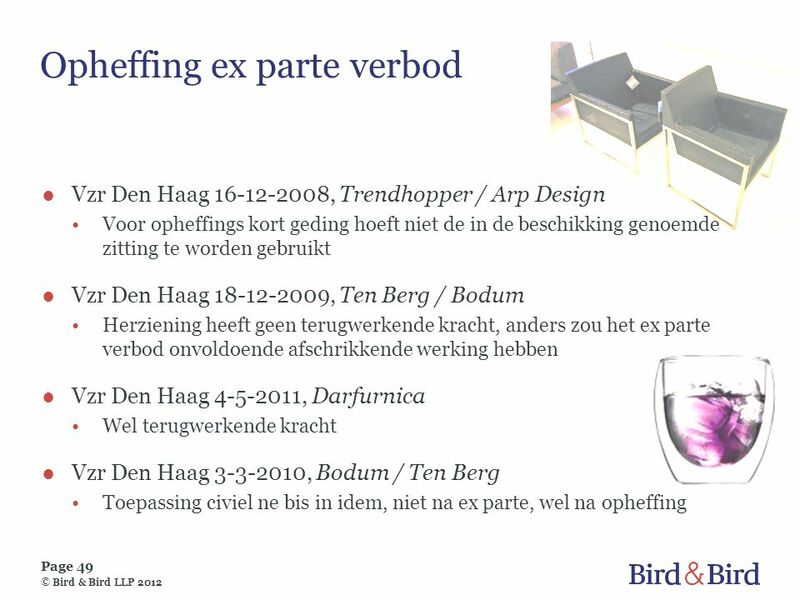 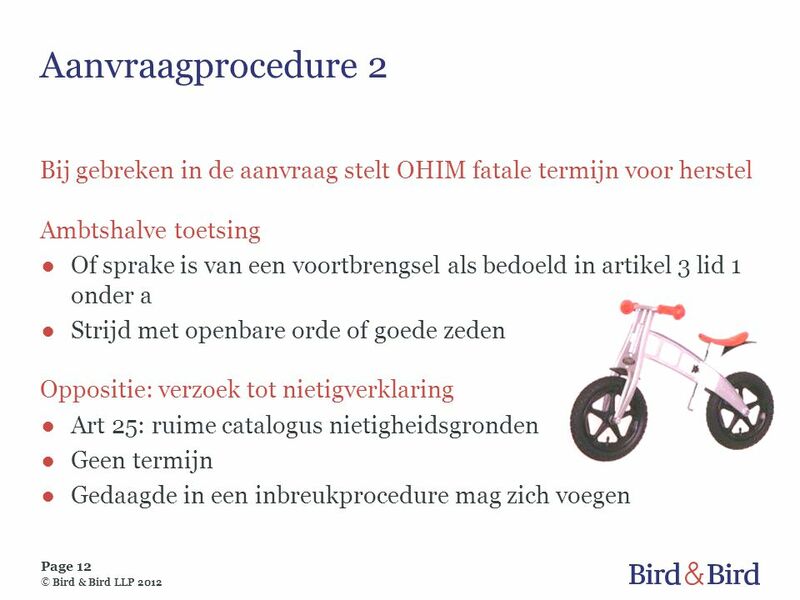 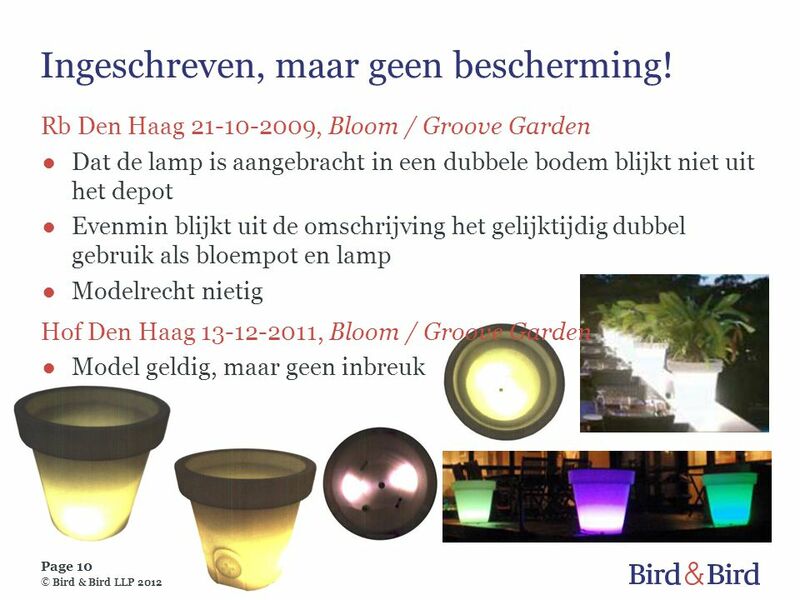 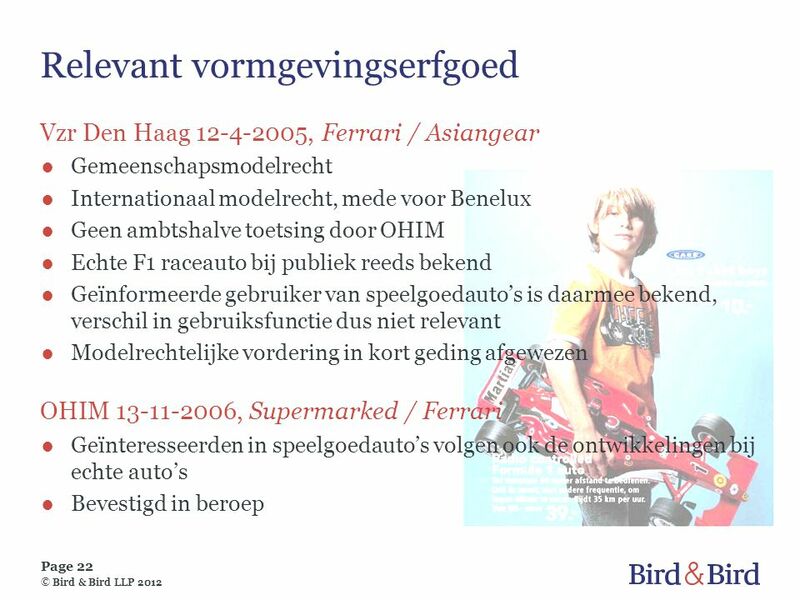 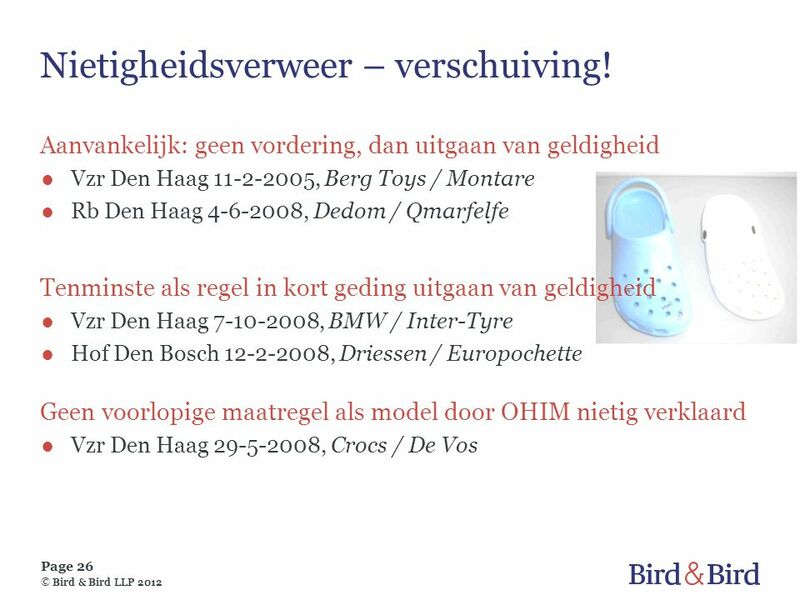 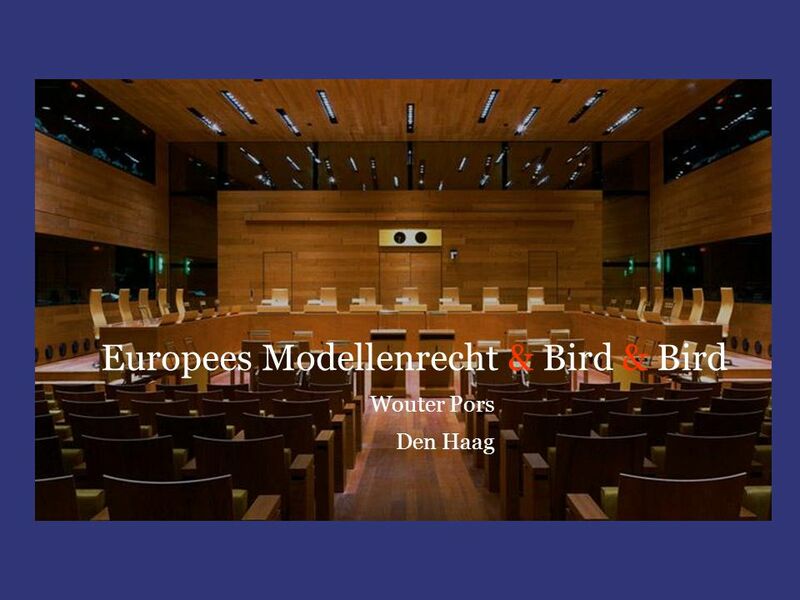 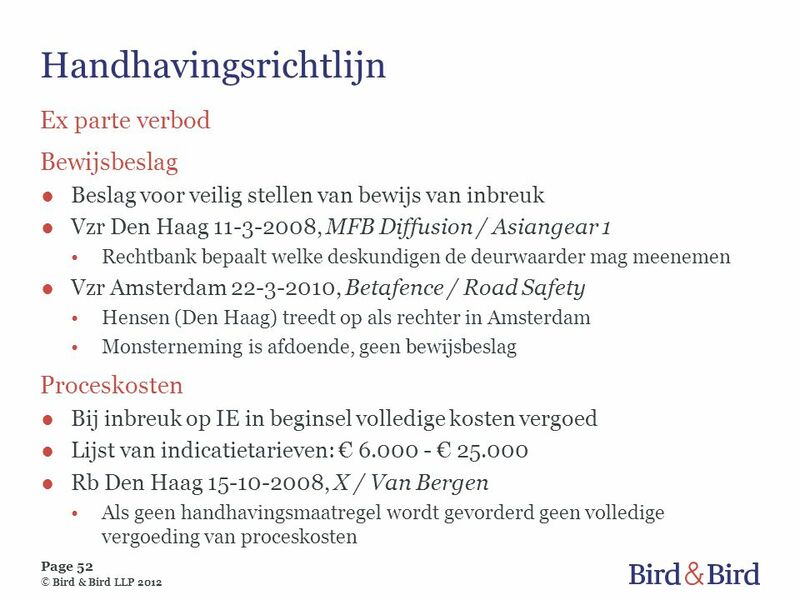 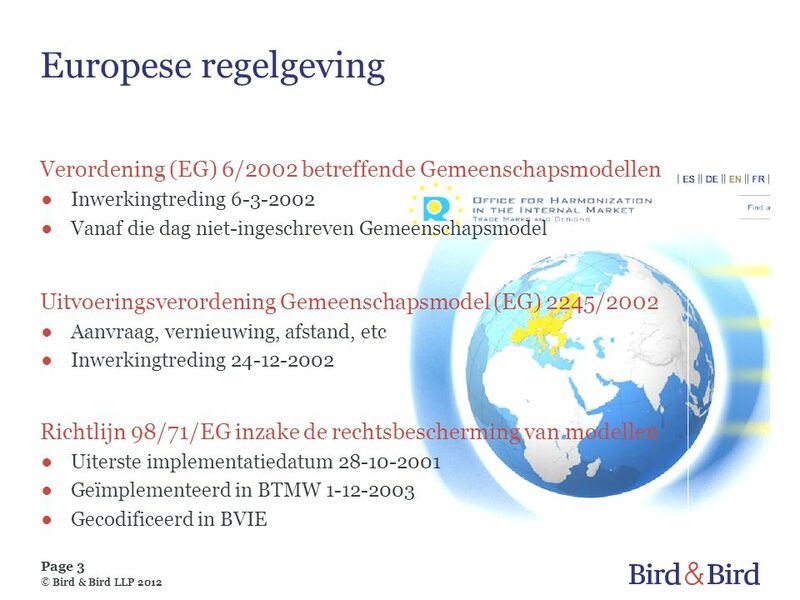 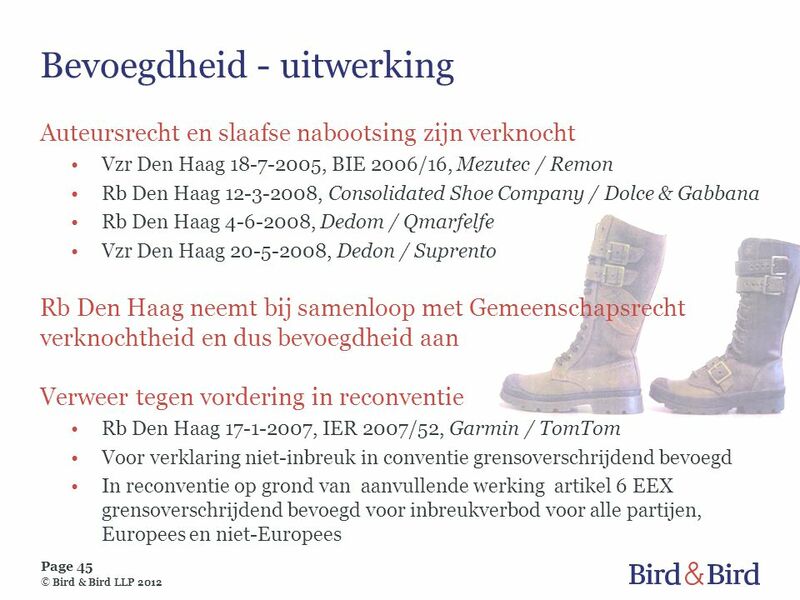 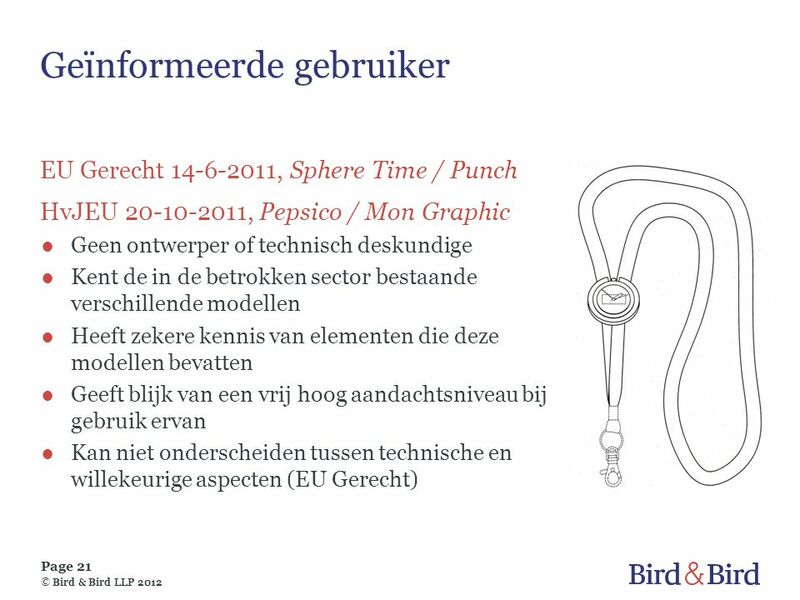 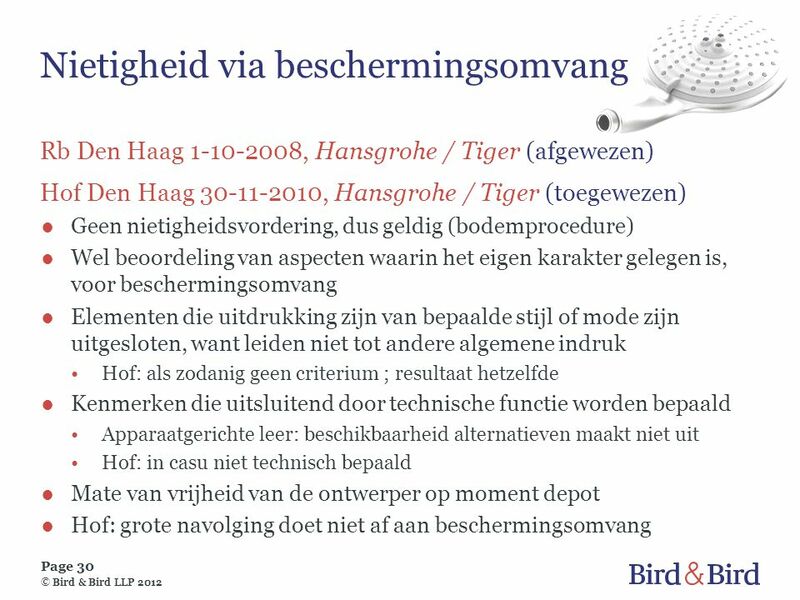 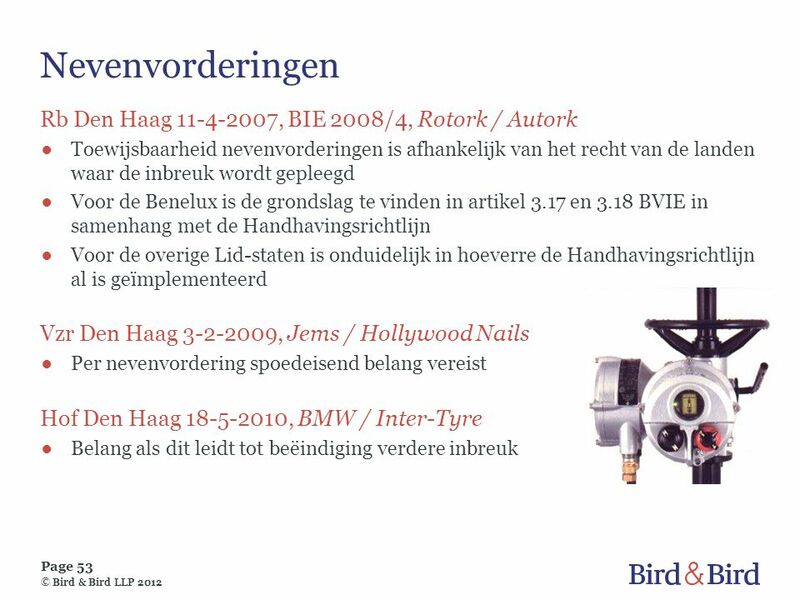 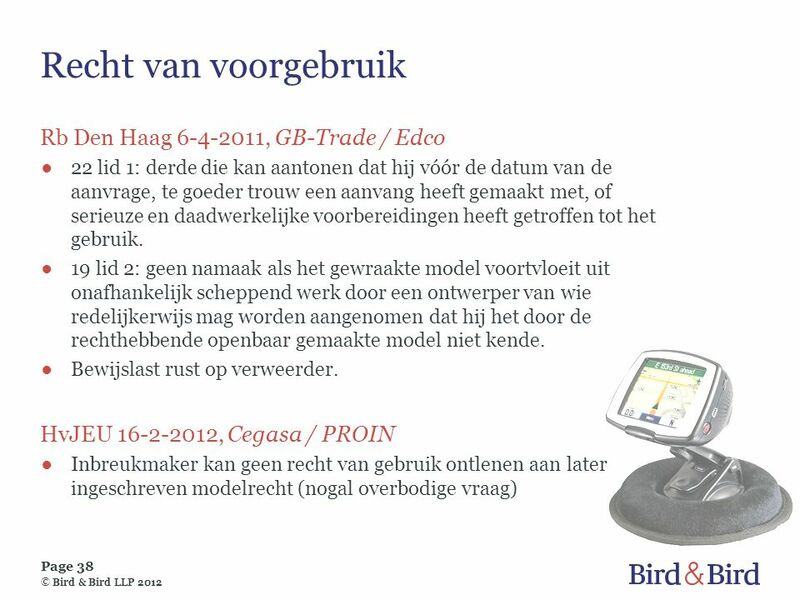 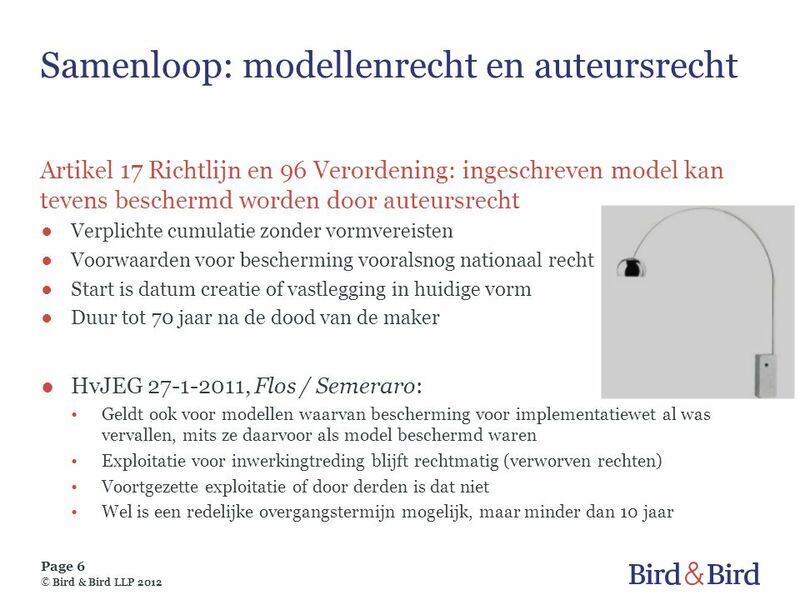 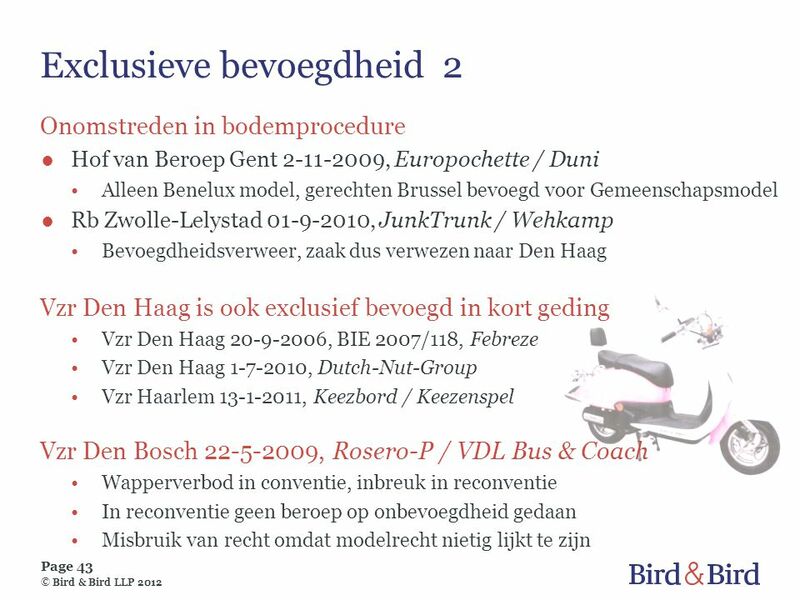 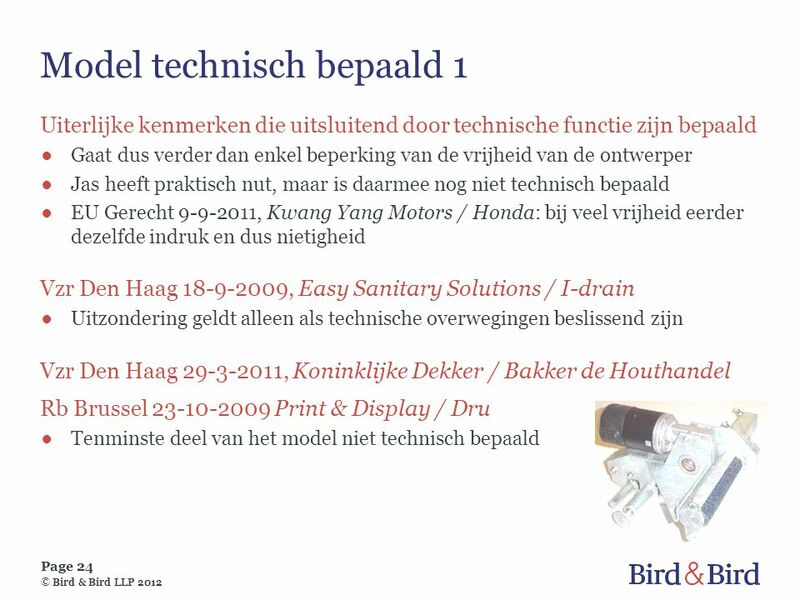 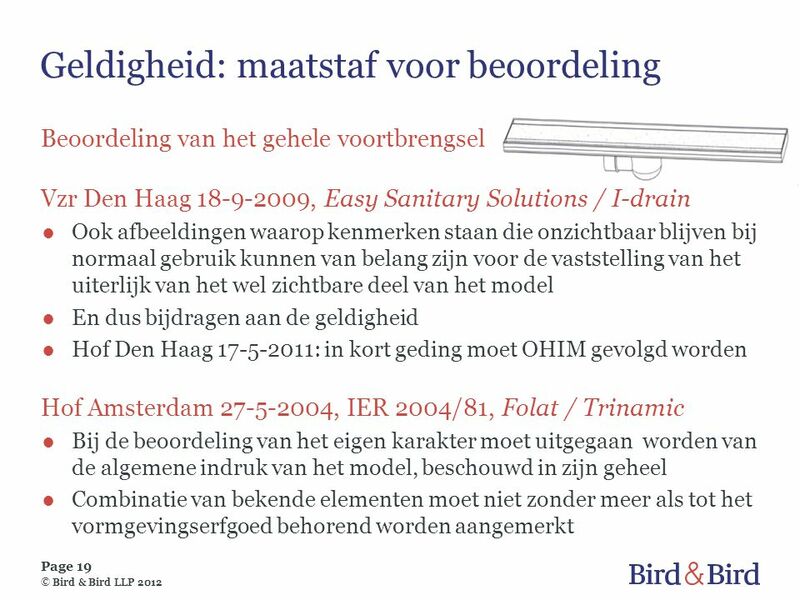 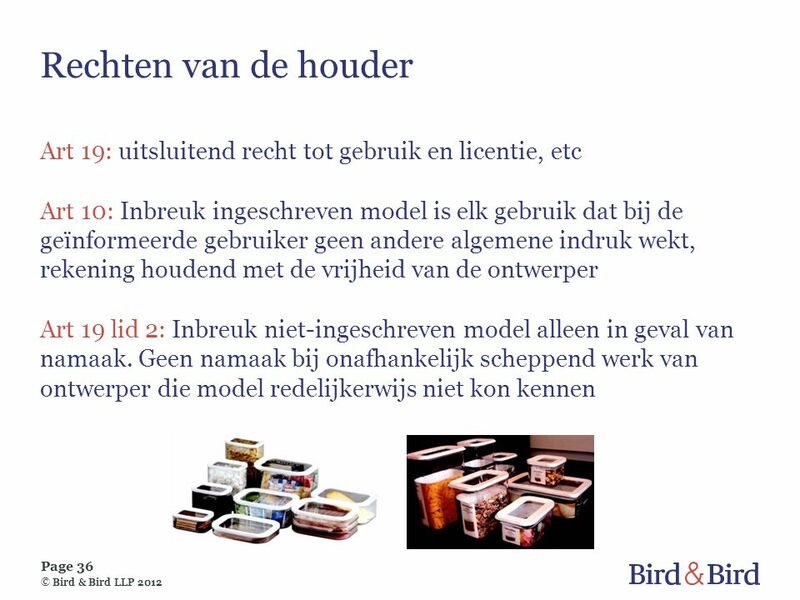 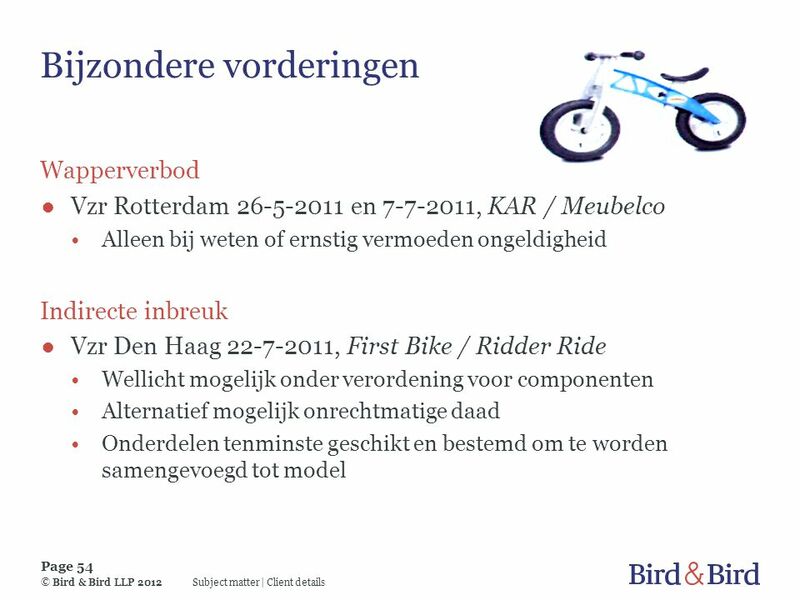 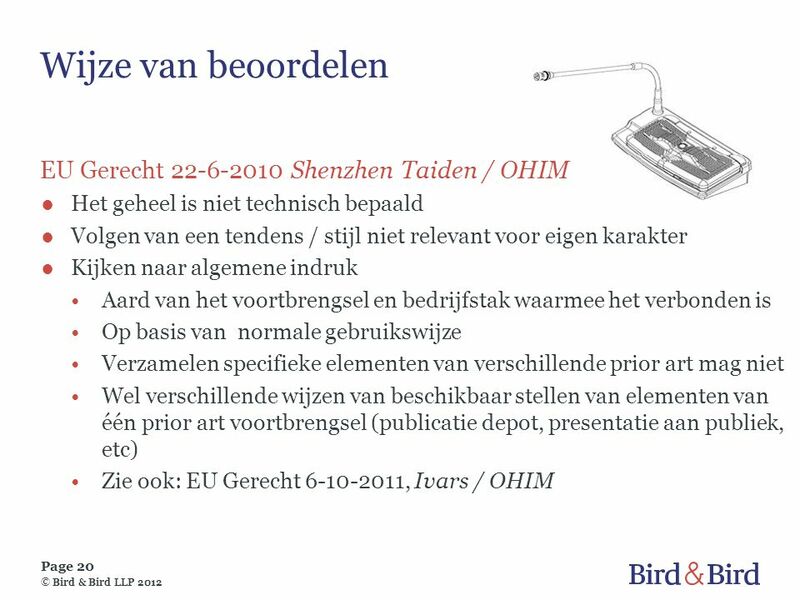 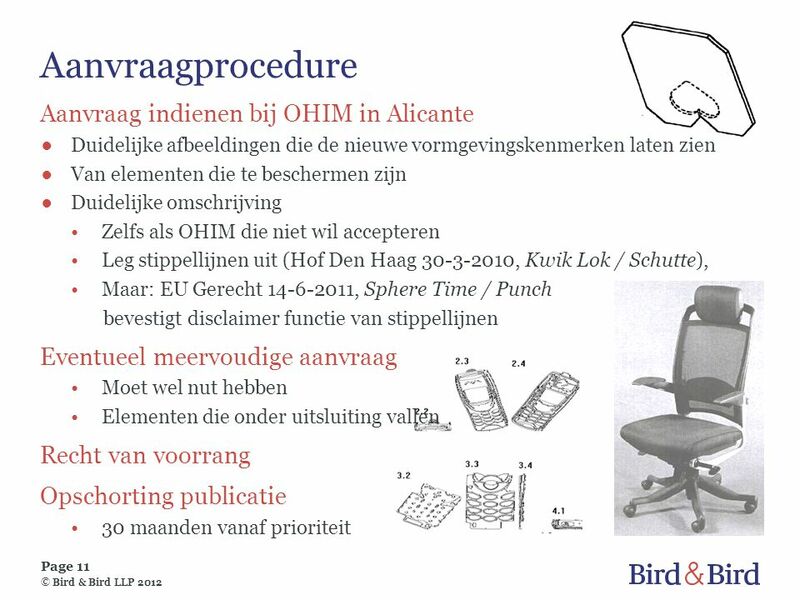 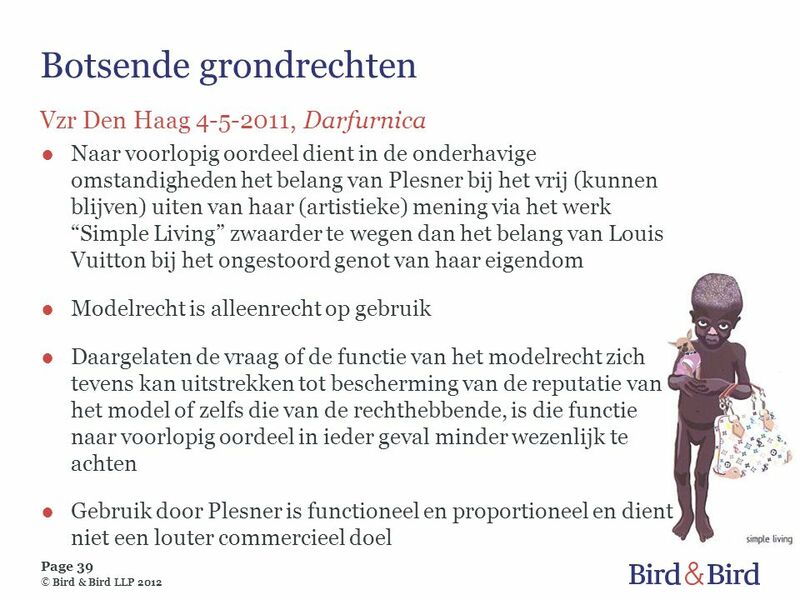 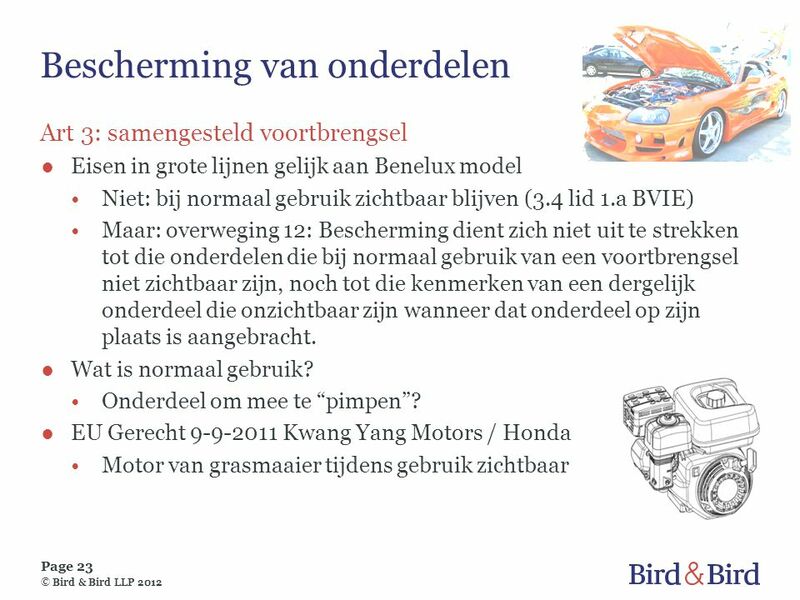 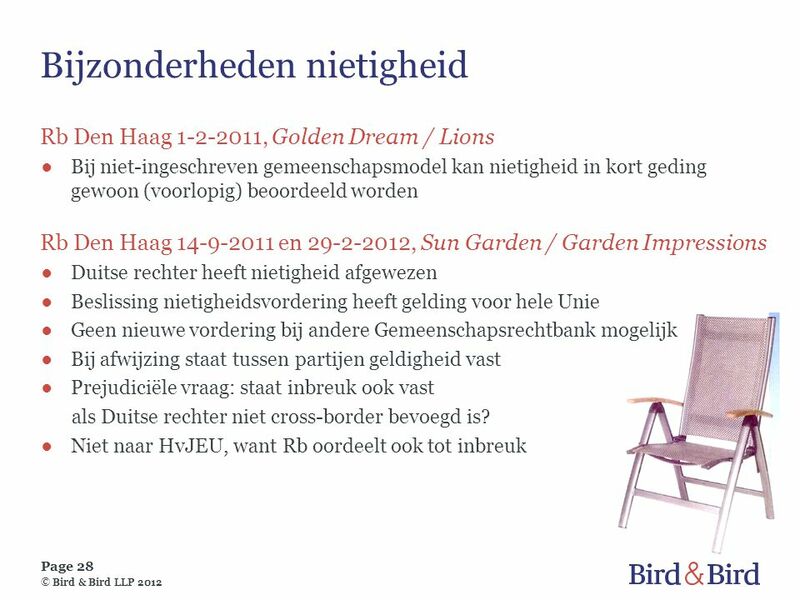 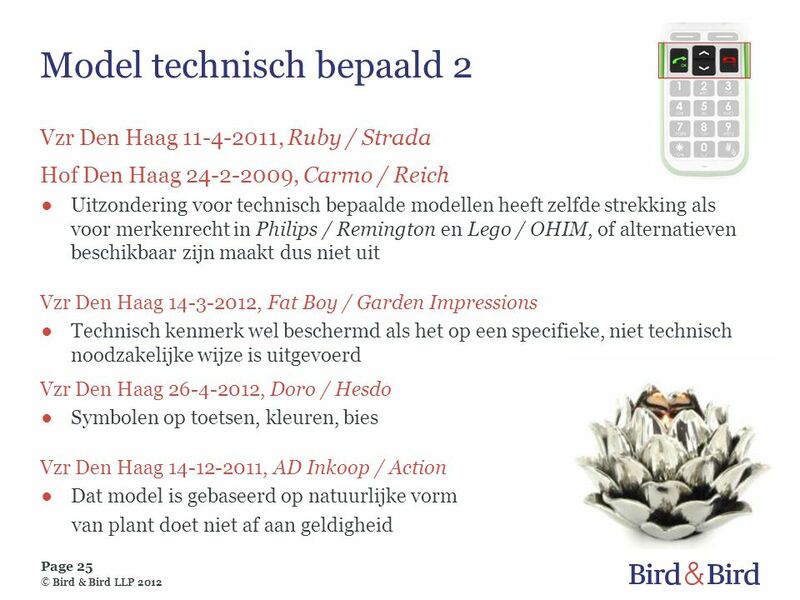 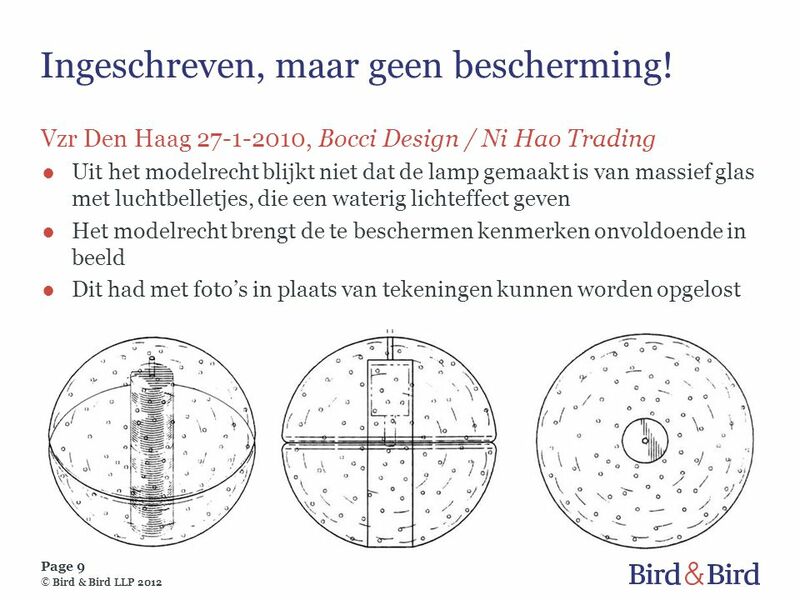 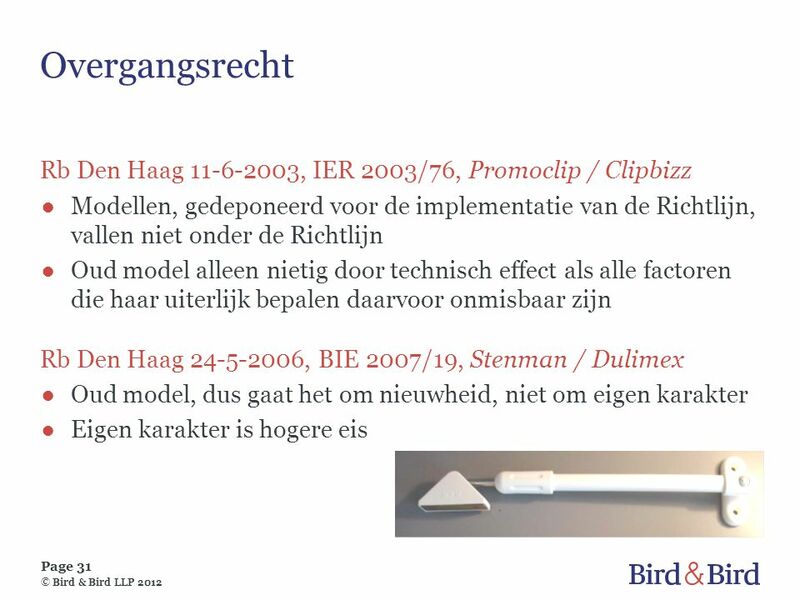 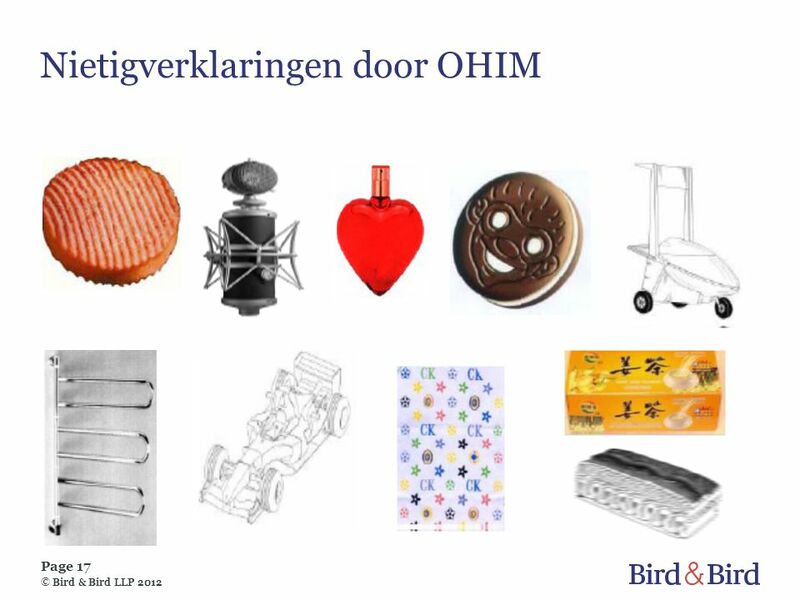 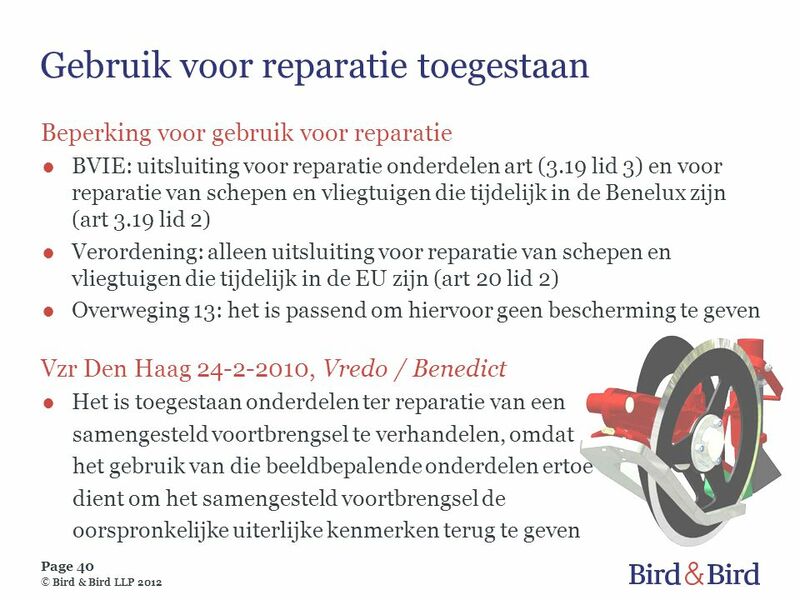 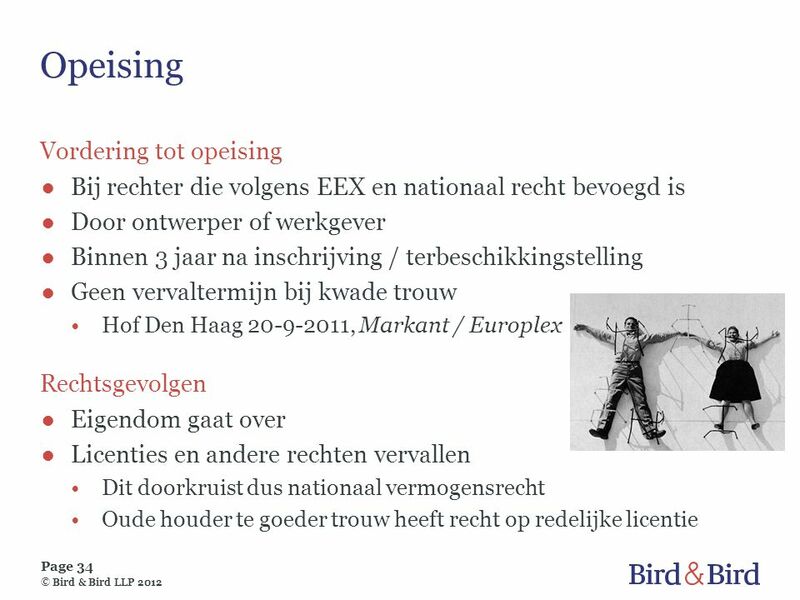 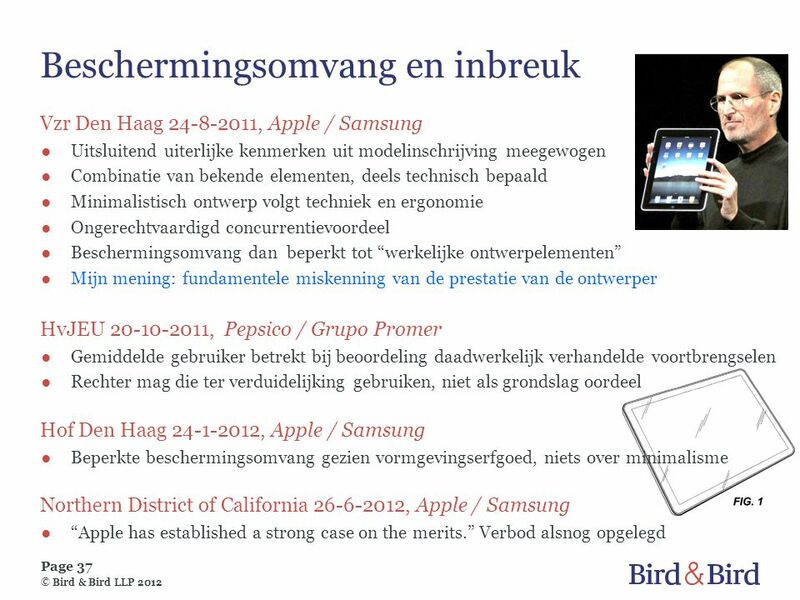 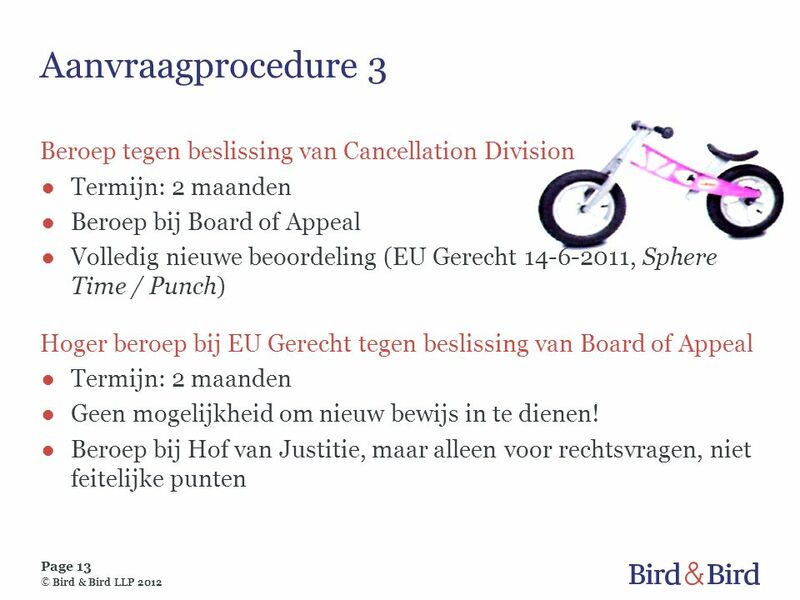 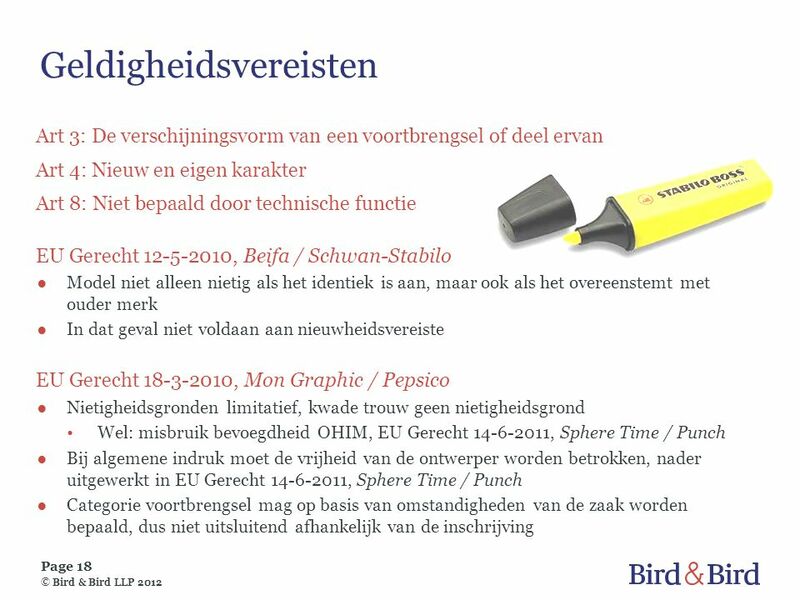 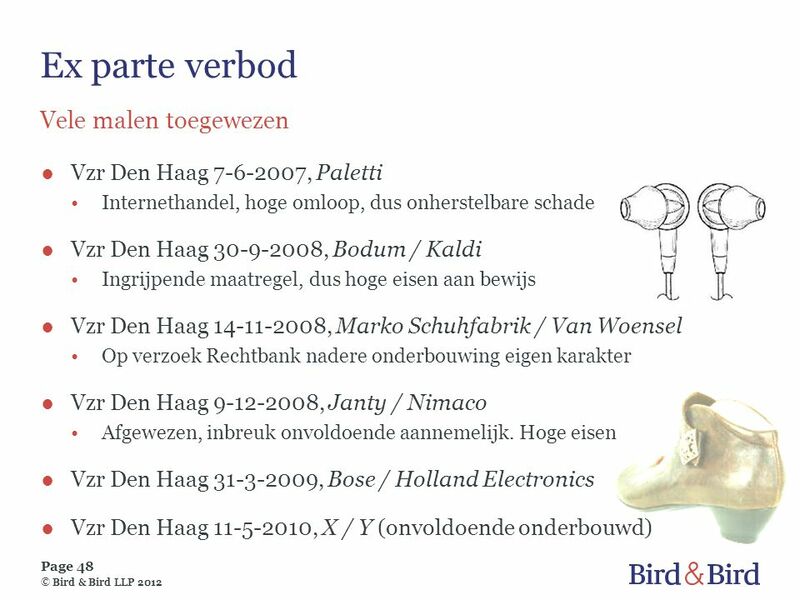 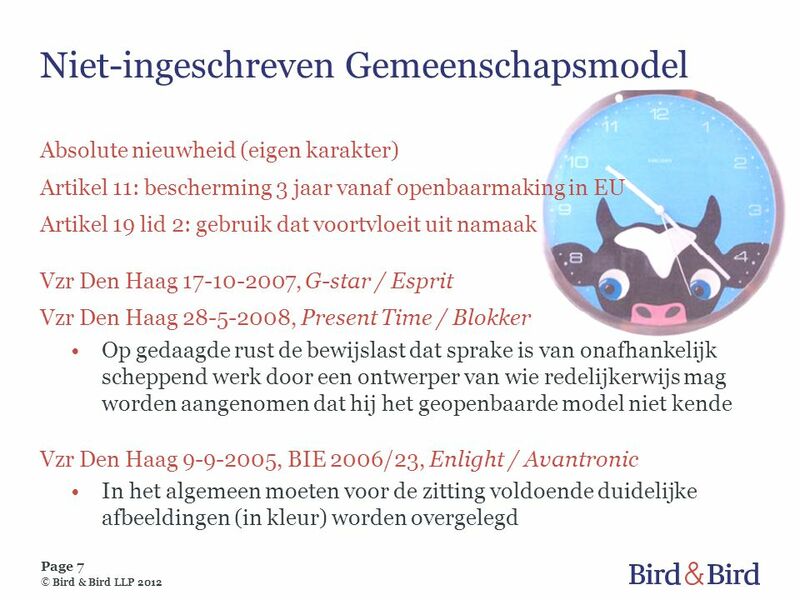 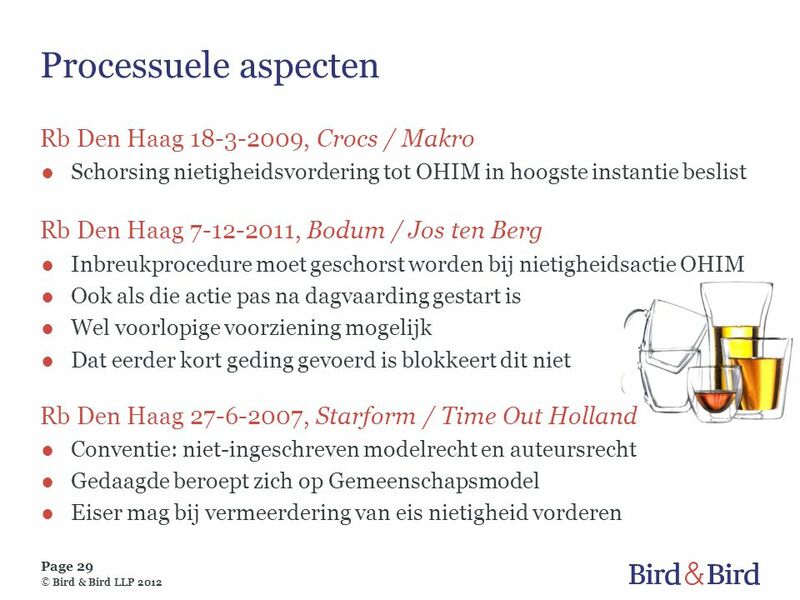 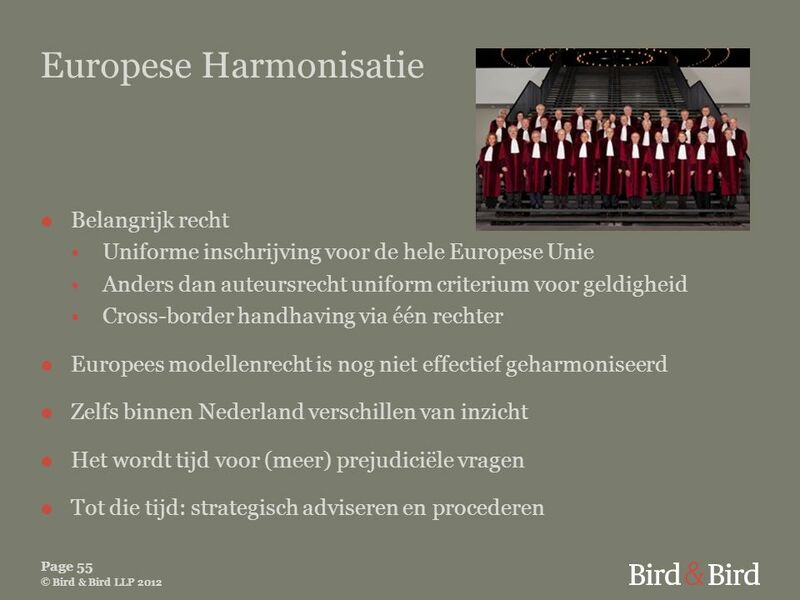 Download ppt "Europees Modellenrecht & Bird & Bird"
Life Sciences & Recht Wouter Pors.